Last year I posted about my idea of setting principles rather than resolutions for the new year. In the post I discussed thinking about what you want to improve upon, considering what people you admire do, and making reasonable intentions. For me, I wanted to focus on being disciplined, gracious, and kind. Having this mantra for the year was a great help as I faced various challenges and I have no doubt that I will continue to remind myself of this in coming years. However, for 2017 I anticipate this being a major year of change. From graduating college, to starting my job, to traveling with different people (for pleasure rather than work...what a thought! ), this year is sure to hold many new experiences and surprises. 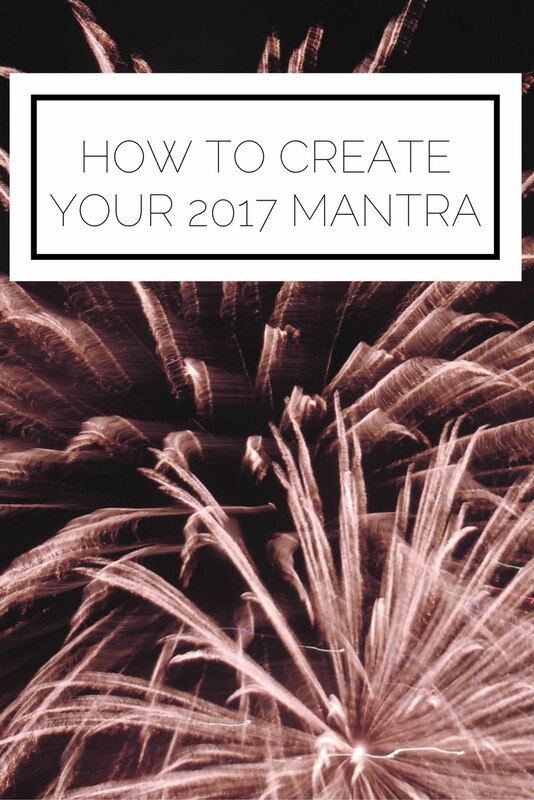 So how do you go about identifying what your mantra for the year should be when you are not totally sure what to expect? Are you the type of person who thrives on change or would you prefer things to stay the same forever, and ever, and ever? When you recognize what your own feelings and responses tend to be you can better decide how to address them. For me, I am somewhere in the middle of being able to work with change while simultaneously (and silently) wishing it wasn't happening. Will it be more beneficial for my mantra to be future, past, or present oriented? Do I prefer soft words of encouragement or forceful words pushing me towards my goals? What do I anticipate being my biggest challenge in 2017? What transferable skills will I need to overcome it? 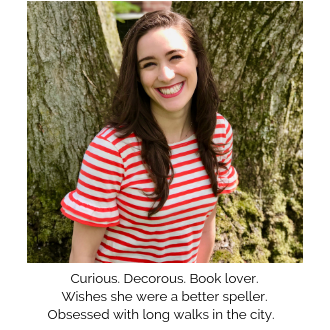 With all of these factors in mind I was able to come up with my mantra for the year, and decided to maintain my principles from 2016, as well as add an increased reading challenge for 2017 (let's be friends on Goodreads so we can check out the good books we're reading!). This is the 4x6 printout I created to frame and keep on my desk as a reminder of my mantra, principles, and reading goal for the new year. .To me, change can be uncomfortable and being continually challenged by new experiences, while tough, is the only way to grow. 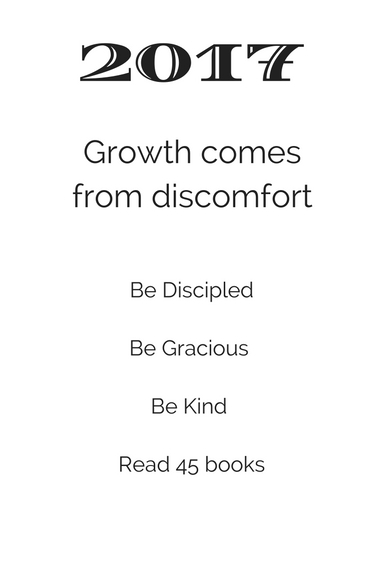 When I find myself frustrated or wishing that things were easier, I will take a deep breath and remind myself that "Growth comes from discomfort." I will continue to live by my classic three principles and have upped my reading goal by 5 books again this year. Having a mantra and goals can help you reflect on the year and determine how you have done and what you need to continue to focus on, so make sure to do this before the clock strikes 12 on New Year's Eve! What is your mantra for the year? Do you like to make resolutions? What are your thoughts on my mantra?